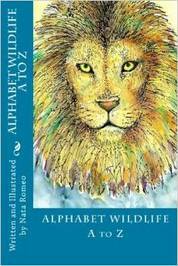 Nata Romeo a.k.a ArtistaDonna, is the author and illustrator of her first children's book titled Alphabet Wildlife A to Z. Originally from Toronto, Canada, she now brews and sprinkles her art and stories from the Philadelphia skies. She dreams that her work gets swept up and tangled into a massive wind front so that her world can travel across the universe and beyond! We’d love your help. Let us know what’s wrong with this preview of Alphabet Wildlife A to Z by Nata Romeo. A whole entire group dedicated to Delirium by Lauren Oliver!